Chorister of DJ Assad and Greg Parys in the dance hit “We are One”, Marisa is a young singer from the South of France endowed with an exceptional voice. 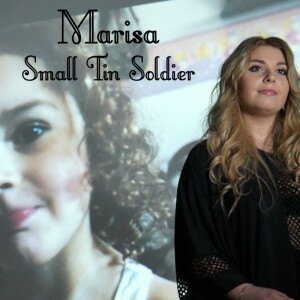 “Small tin soldier” is a heartbreaking love song composed in an R'n'B style, with tailor-made lyrics written by a talented author, Alain Bourret. Professional clip shot by Flodama Productions.